One of the things that I do constantly since I moved to the US is to do my own nails. I rarely go to a beauty saloon for it. Because of that, I’m always using and trying new products for my nails. 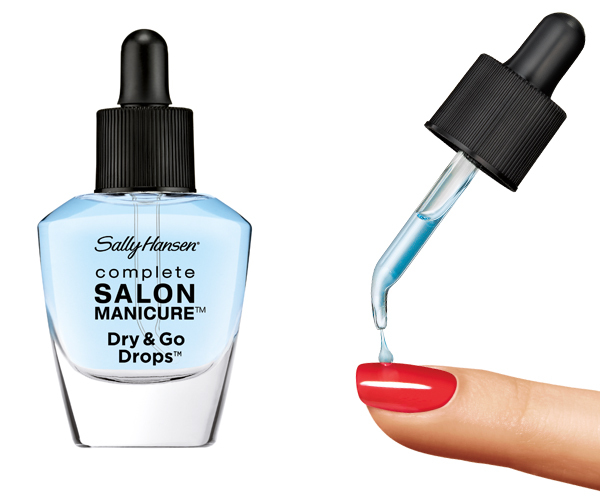 The Sally Hansen Dry & Go Drops is one of my favorite products. After coloring my pretty nails I wait a few seconds and apply one or two drops of this oil. It’s just great and the nail gets totally dry in less than two minutes. For someone clumsy like me, this product is perfect!